Read what people are saying about The Underdog Edge workshops here. Are you tired of a lackluster response to your PAC recruitment presentations, letters, and emails? Are the same patriotic clichés failing to inspire involvement? Does your PAC website serve as an advertisement rather then a recruiting tool? The Purposeful PAC™ incorporates scientifically tested methods of persuasion to increase not only your PAC receipts but also emotional allegiance to your cause. We can custom design and deliver a Purposeful PAC™ presentation for you, or train your staff and/or volunteer PAC recruiters to deliver our custom-designed presentation. There are some grassroots and PAC volunteers who have been at it for years and never grow weary. They always engage, they communicate the right message to the right legislator at the right time, and they develop meaningful relationships with their elected representatives. They are the ones who allow staff members to sleep at night. How do they differ from other advocates? What’s their secret for staying motivated? Because Amy conducts highly customized workshops, she has interviewed hundreds of these high performers and knows what makes them stand out among the “yaktivists” – the volunteers who make a lot of noise with little results. She integrates their actual triumphs and trials into an entertaining, funny, encouraging, and motivational keynote. It’s great for sending your advocates back to the district (or to the Hill or State House) with a renewed sense of purpose, focus, and motivation. After hearing Amy, your volunteers will want to stay in it to win it. There are lots of “entry-level” advocacy and PAC training workshops. We are known for our ability to bring an advanced level of information and capabilities to experienced advocates, and to accelerate the progress of new advocates. We specialize in catapulting “stuck” grassroots advocates and PAC recruiters to be better, quicker, and more influential when communicating with their influence prospects. It’s one thing to teach your advocates how to communicate with legislators. We teach them how to influence legislators. We don’t believe that influencing legislators and PAC prospects is a “soft skill.” There is a science to influence, and we incorporate the latest scientific findings with real world stories, a multi-media approach, and application exercises to maximize the learning and entertainment factor necessary in all engagements. Our grassroots advocate and PAC recruiter development services include workshops, keynote speeches, and consulting collaborations. The ultimate goal of any advocacy effort is not just to advocate and educate, but to successfully persuade your legislator to support issues vital to your industry or profession. To achieve this, your advocates must stand out from the more than 10,000 other interest groups registered to lobby the U.S. Congress and state legislatures. 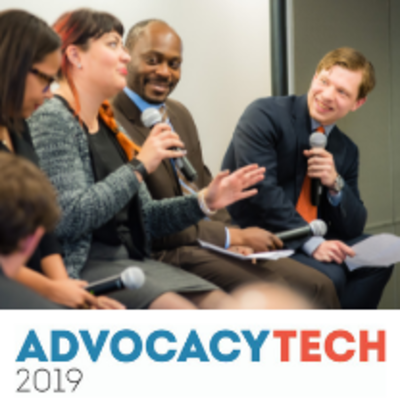 In this workshop, you’ll learn the communications and influence tactics used by the most effective grassroots advocates and professional lobbyists, all supported by the latest social science research as to what really works. . . . and, you can use these ethical influence tactics in your daily work and personal lives. Do you know. . . . .
Why “passion” for your issue makes you a less persuasive advocate? The role empathy plays in winning over your legislator, and how to demonstrate it? The 3 pillars of credibility that determine whether a legislator is really listening to you? The way to quickly build trust with lawmakers? Why relationships are the “gold standard” of influence? Over 30 ways to build relationships with your lawmakers? Why “being nice” gives you an influence edge? The #1 obstacle to building good relationships with legislative staff, and how to overcome it? How appealing to your lawmaker’s desire for personal consistency can favorably persuade them? How to leverage the legislators’ personal and political context in your favor? How to become the “go to” person for your legislator on your issues, even if you disagree with him or her on most issues? The 10 mental attitudes of superior grassroots advocates? If you want to learn how to be a more influential advocate (and person) join us for this workshop. You won’t look at grassroots advocacy the same way again. Learn why relationships are the platinum standard of influence, and how to build a credible relationship beyond just attending fundraisers and fly-ins. Stop watching your advocates huddle together at political events. Teach them how to maximize their time at every event, be comfortable, stay on message and have fun. Necessary checklists to review before approaching the legislator. *Scientific influence workshops delivered with Kelton Rhoads, Ph.D.